TGIF...... am I right!? I've been sick this week.. boo! :( But thankfully I had this video recorded since last week so that I can keep up with my theme of #FitzyFriday. I'm aiming to have a new blogpost or video up every Friday. I hope you like the idea and I hope I can stick to it! That's the beauty of having a blog and a You Tube Channel. If I happen to be sick and unable to record a video, I can hopefully write a blogpost instead! 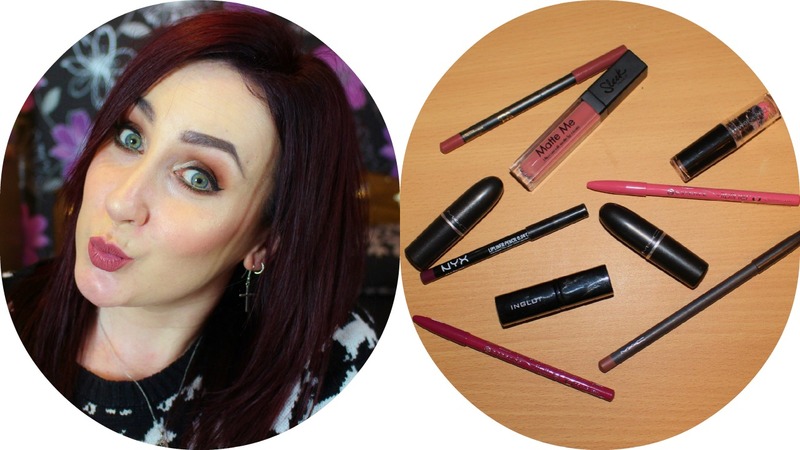 This week I decided to make a video on my current favourite lip combos of lipsticks and lip liners. As mentioned in the video, I wasn't always a lip liner user, but as of the past few months, liners have been creeping their way into my daily make up routine. Be sure to leave a comment under the video letting me know if you use lipliners and what ones are your favourites! So there you go; my current favourite combinations! I might do another one of these video again soon, as any of my long terms viewers know, lip products are my cryptonite and I am constanstly trying out new products and shades. I hope you have a fabulous and safe weekend and be sure to let me know your favourite lip combos! Click below to watch the video!